A British couple are facing imprisonment after an MPAA sting operation revealed they were the owners of streaming links site SurfTheChannel. 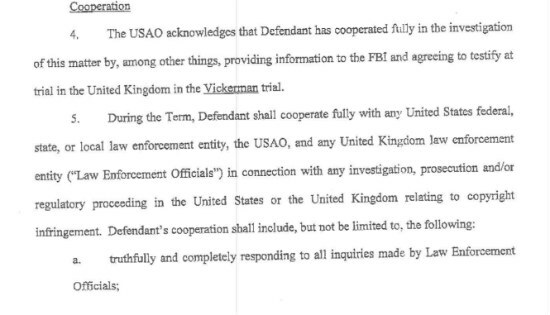 Aside from the use of an undercover agent who gained access to the defendants' house under false pretenses, the case also involves an unprecedented involvement of the US authorities with a UK court case, in which a defendant in the US was offered a deal after agreeing to cooperate and testify in a trial overseas. For years the US movie industry has tried to bring streaming links site SurfTheChannel.com to its knees. After a chain of events that reads like a Hollywood blockbuster script, the case is now on trial with husband and wife team Anton and Kelly Vickerman as the defendants. As is often the case, the investigation into the alleged pirate site was not started by the police, but by Hollywood. In 2008 and working closely with the MPAA, the Federation Against Copyright Theft (FACT) hired former Dutch policeman Pascal Hetzschold to try and make contact with SurfTheChannel’s owner. Using the cover “Roger Van Veen,” Hetzschold pretended to represent a venture capitalist who was interested in the site. After a few emails back forth, SurfTheChannel operator “Anton” agreed to meet with him in London. During that meeting Anton opened up about the site according to Hetzschold. He allegedly explained that the site made $50,000 in revenue each month from an average of 400,000 visitors per day. Anton also admitted that he founded the site which he ran in collaboration with two other people. After the meeting was over the two parted company. Or at least, that’s what Anton was led to believe. In reality, Hetzschold tailed the SurfTheChannel owner a distance of nearly 250 miles back to his home in Gateshead where he lived with his wife Kelly. Now that the MPAA and FACT knew where the couple lived, they were ready to carry out the second part of their plan. In preparation for a possible police raid on the premises, they sent over private investigator Paul Varley as a prospective house buyer. Once he had gained access to the family home Varley took a series of pictures, with a special interest in computer equipment. The MPAA/FACT undercover operation eventually resulted in a raid on the Vickerman’s home. During the raid it became apparent how closely the Hollywood group had been working together with the authorities. Not only were Hollywood representatives taking part in the questioning, they also brought along investigators who were allowed to examine the equipment. After looking into the case for a few months, UK authorities decided not to start a criminal prosecution. However, that wasn’t the end of the SurfTheChannel case. Determined to hold the site’s operators responsible for linking to third party streaming sites, the MPAA focused on a programmer from the United States. After teaming up with the US authorities, a criminal investigation was started against Boston resident Brendan DeBeasi in 2011. DeBeasi had been hired to maintain and code for SurfTheChannel, for which he was paid the sum of $9,850. For his collaboration with the streaming links site he was charged with conspiracy to commit copyright infringement, facing up to five years in prison and a $250,000 fine. However, DeBeasi wasn’t convicted in the United States. Instead, he worked out a deal with the authorities who agreed to dismiss the copyright infringement charge in exchange for a testimony in the UK Vickerman trial. In addition, the programmer agreed to pay the MPAA the $9,850 he made from his work at SurfTheChannel. In other words, the US authorities agreed to drop copyright charges in the US in exchange for a testimony in a UK fraud case, which to our knowledge is unprecedented. Possibly because of this fresh witness, the criminal prosecution against the Vickerman couple was started after all. In what Hollywood describes as the largest copyright related fraud case in UK history, their trial started last week at Newcastle Crown Court. During the court hearings some of the above details were brought up, as the Sunday Times reports. Prosecutor David Groome argued that SurfTheChannel facilitated mass copyright infringement resulting in massive losses for the movie industry. Defense lawyer David Walbank on the other hand noted that the site’s servers were located in Sweden, which means that the site might have not operated illegally under UK law. The case is expected to last a month but which way it will go is hard to predict. Both are charged with two counts of conspiracy to defraud and pleaded not guilty. In 2010, linking website TV-Links was deemed to be a ‘mere conduit’ of information and its admins were acquitted. From a functional viewpoint this site was similar to SurfTheChannel. However, the TV-Links case was conducted on a question of copyright and the charges against the SurfTheChannel operators are for fraud. Nevertheless, a similar approach failed when tested against the former operator of OiNK, Alan Ellis. Another interesting angle comes from the case against the operators of BitTorrent tracker FileSoup. They had their case dismissed last year after the court concluded that the criminal investigation was built on evidence solely provided by industry groups. 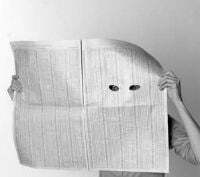 As the cloak-and-dagger behavior detailed above illustrates, there can be little doubt that Hollywood was deeply involved in the criminal investigation against SurfTheChannel. Update: We deleted the reference to a “lifetime” imprisonment which appeared in the Sunday Times. The maximum term in fraud cases is 10 years.